Also check out our 2008 Deployment web page! 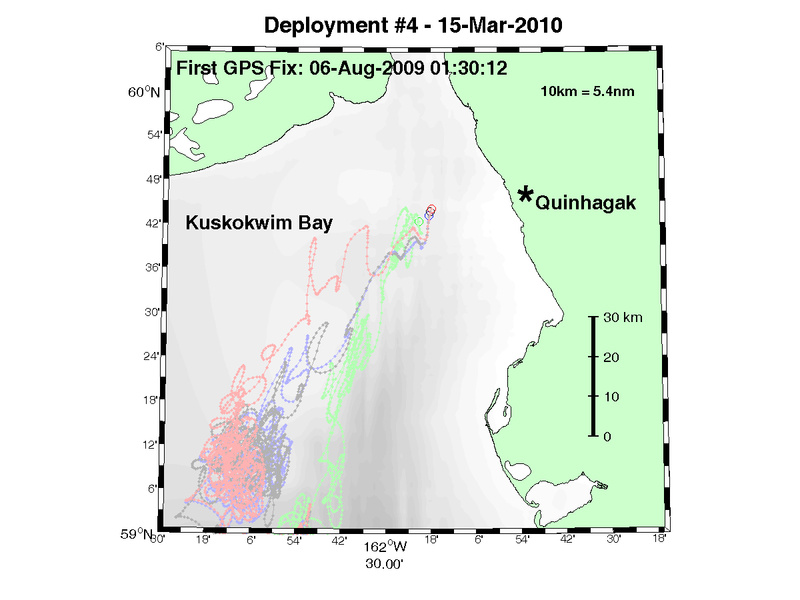 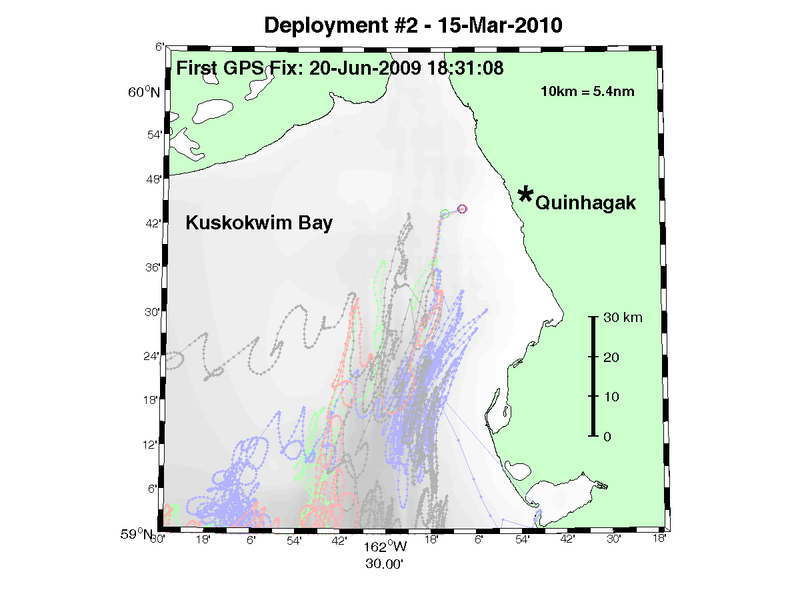 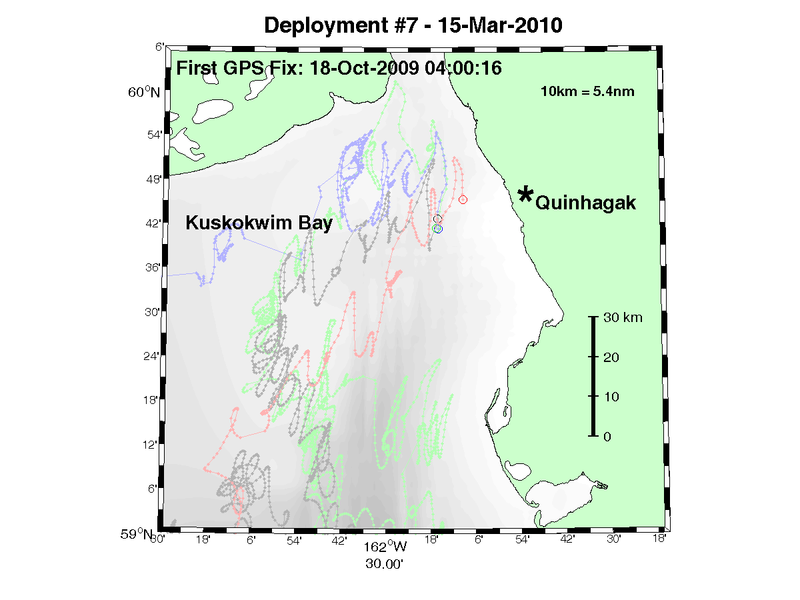 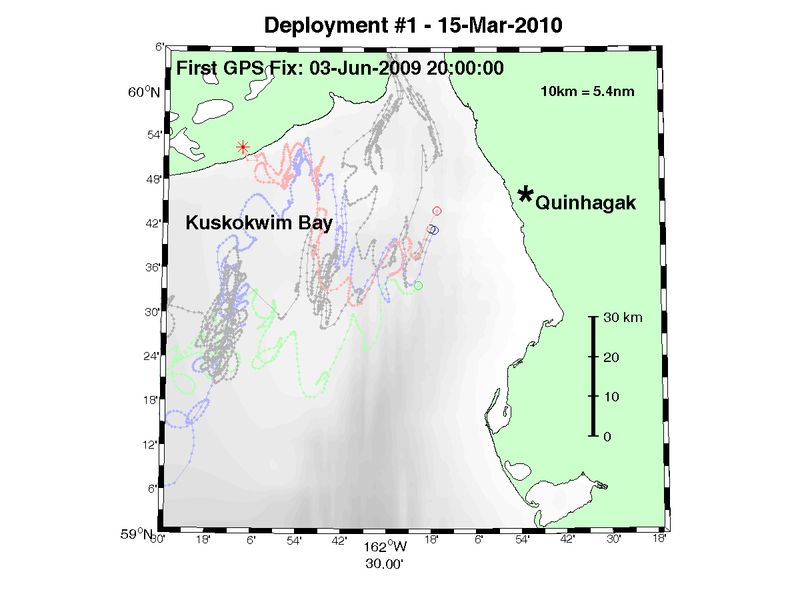 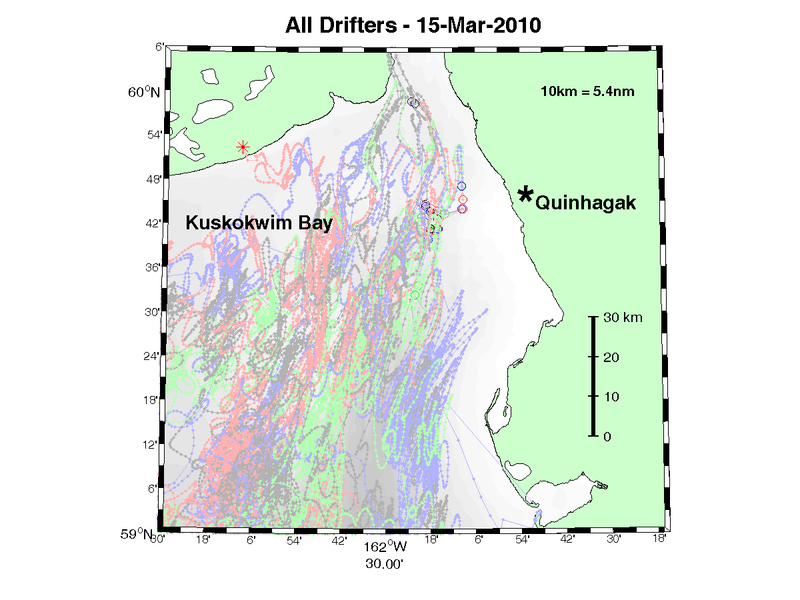 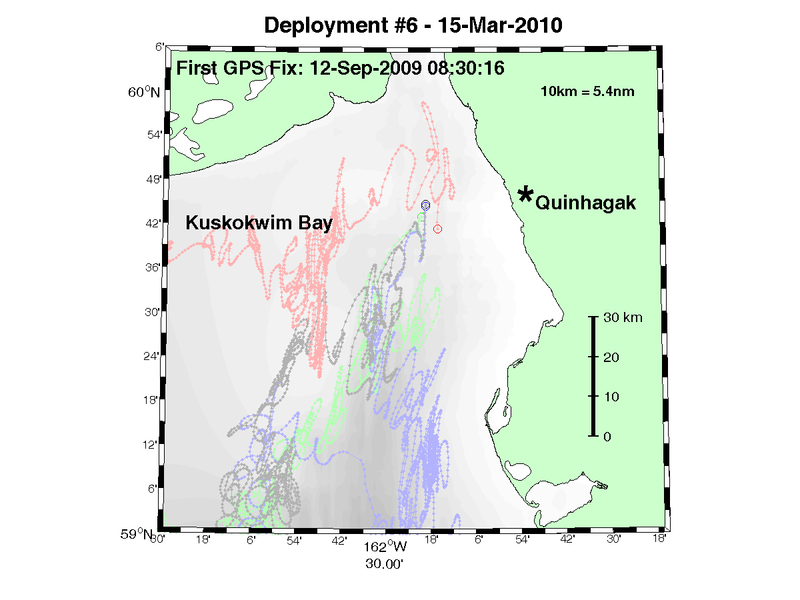 32 satellite tracked drifters will be deployed in each of the 2008 and 2009 summers. 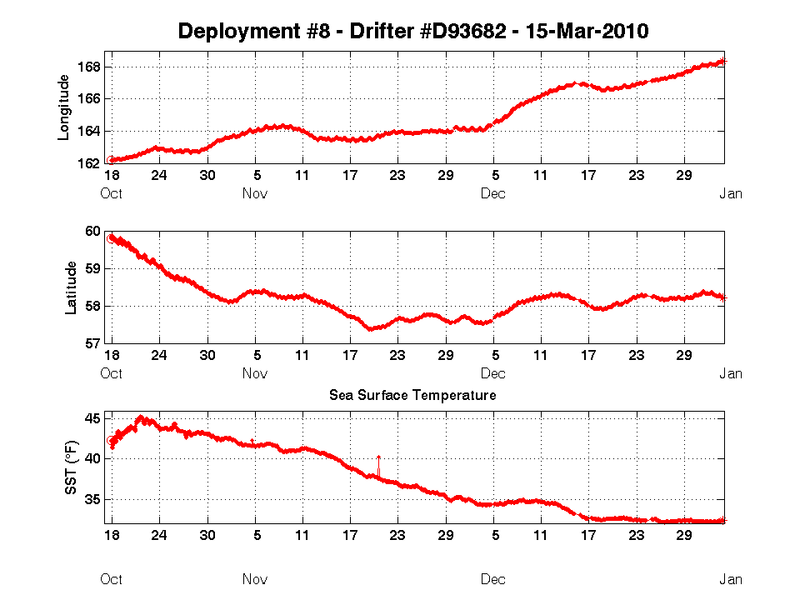 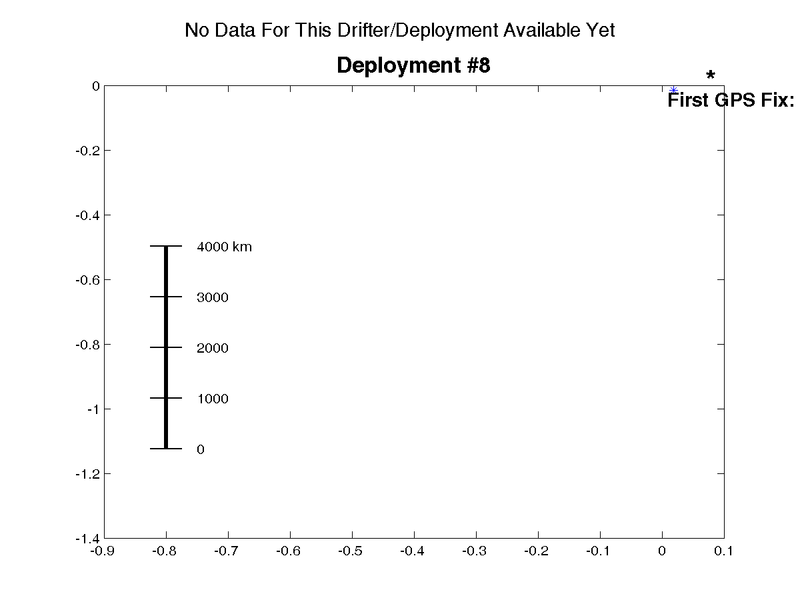 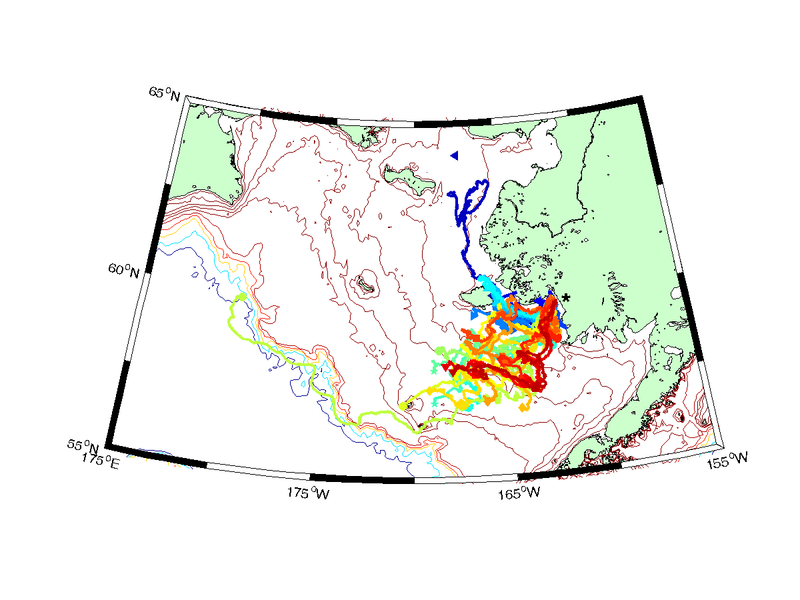 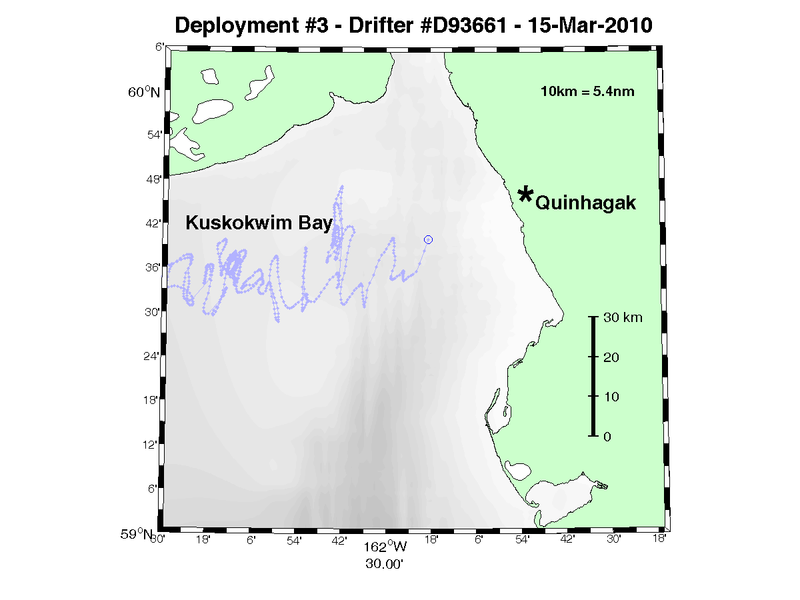 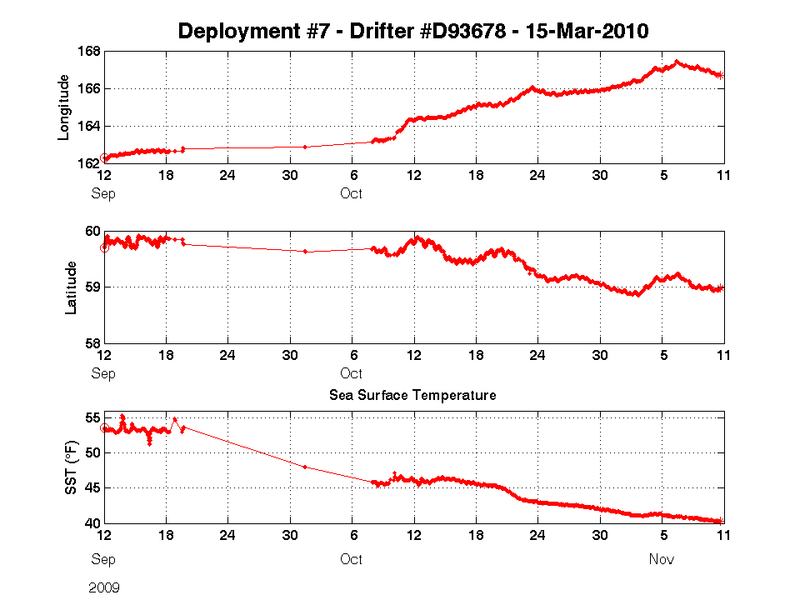 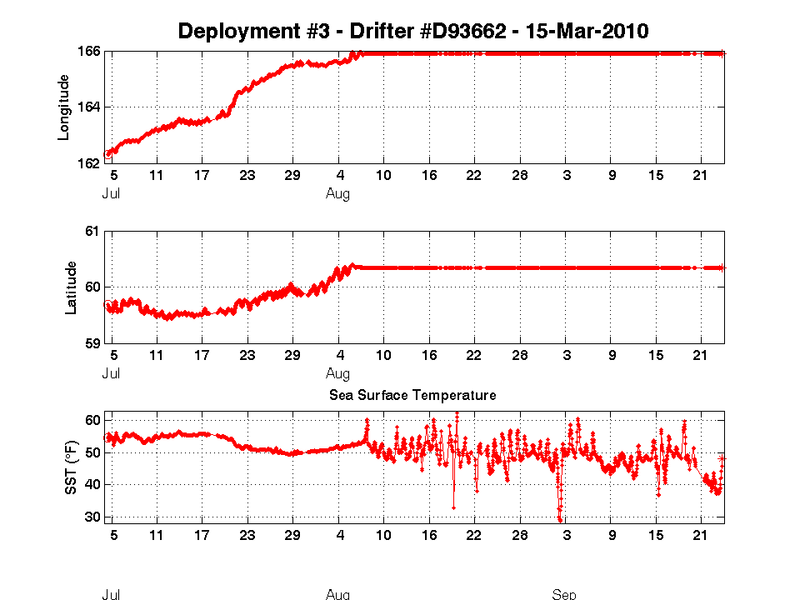 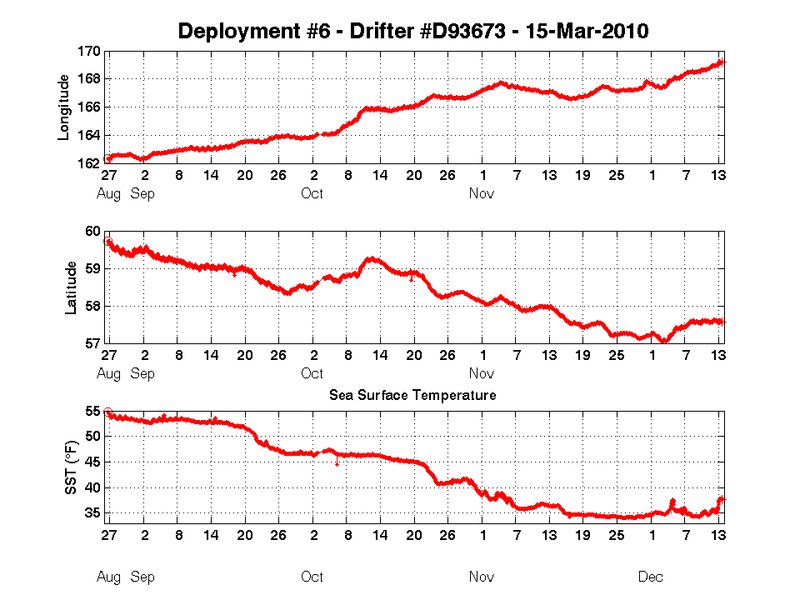 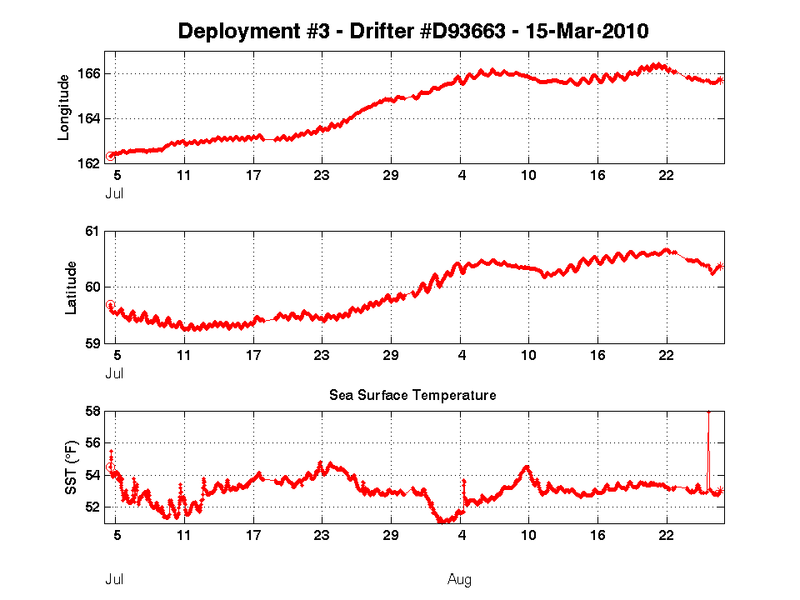 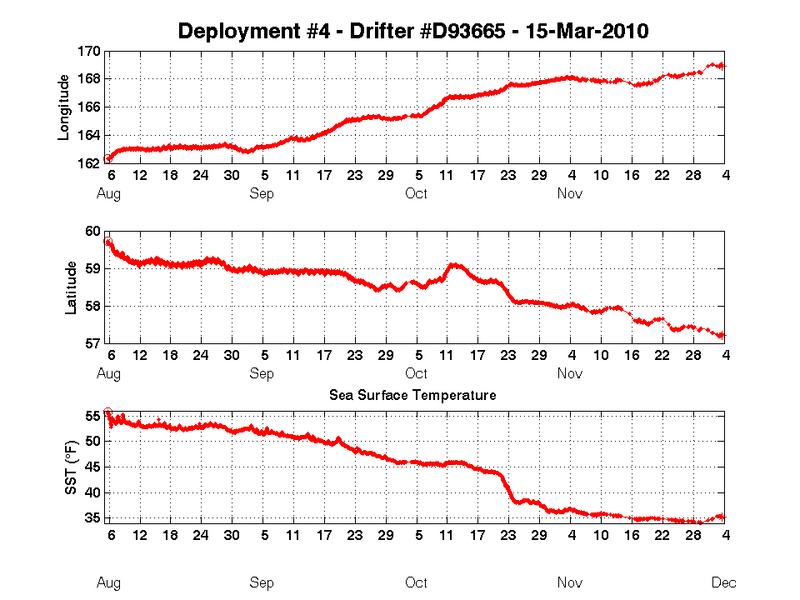 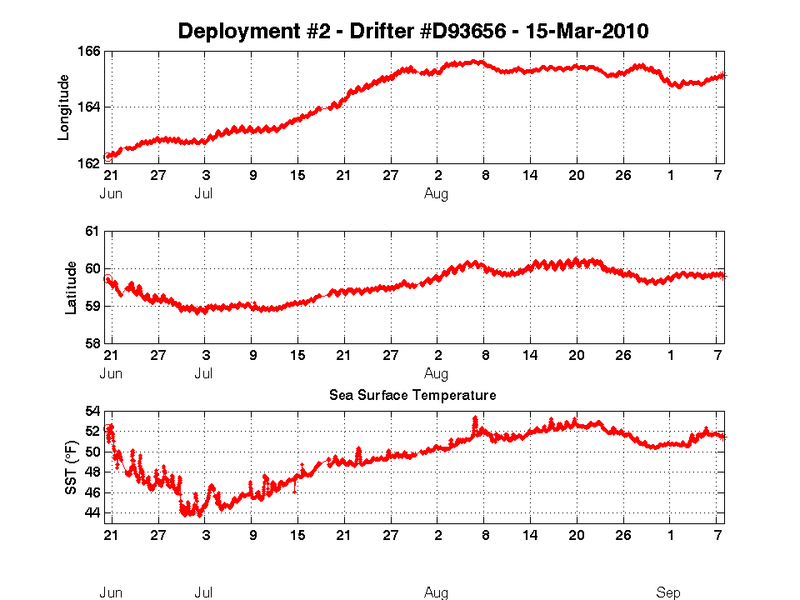 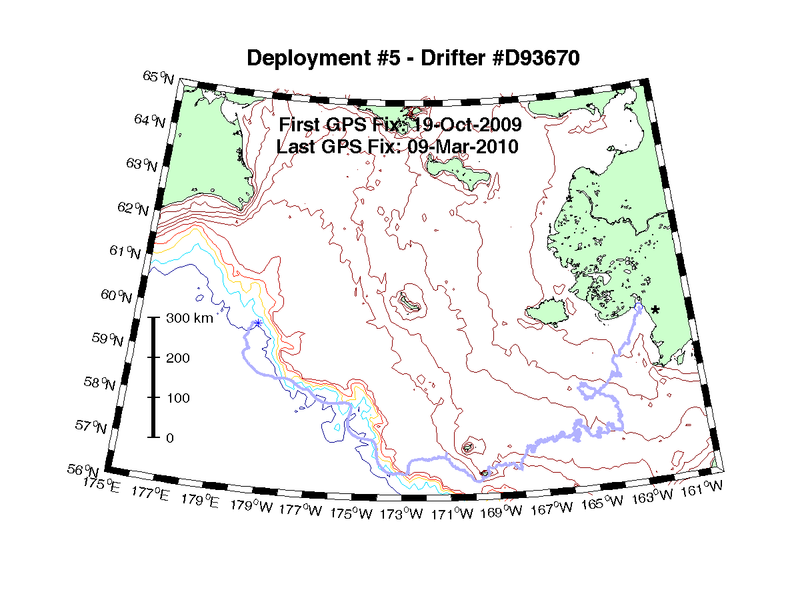 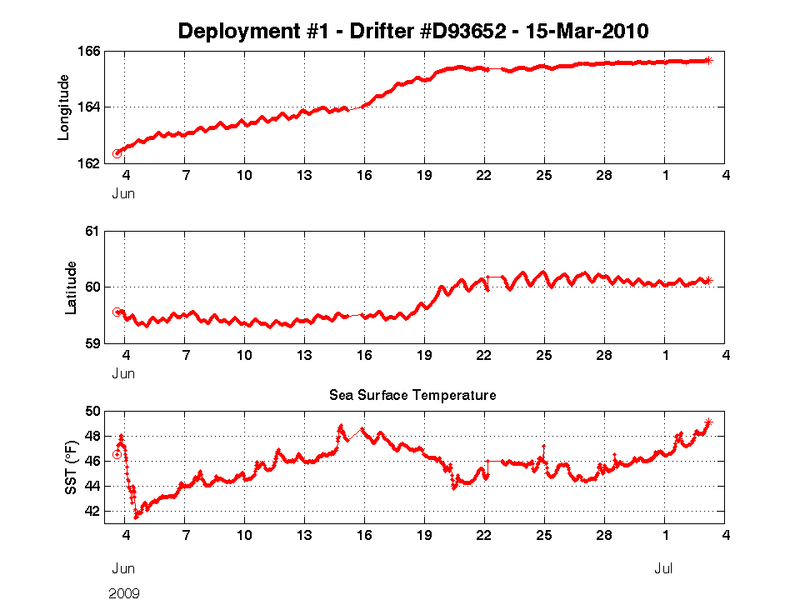 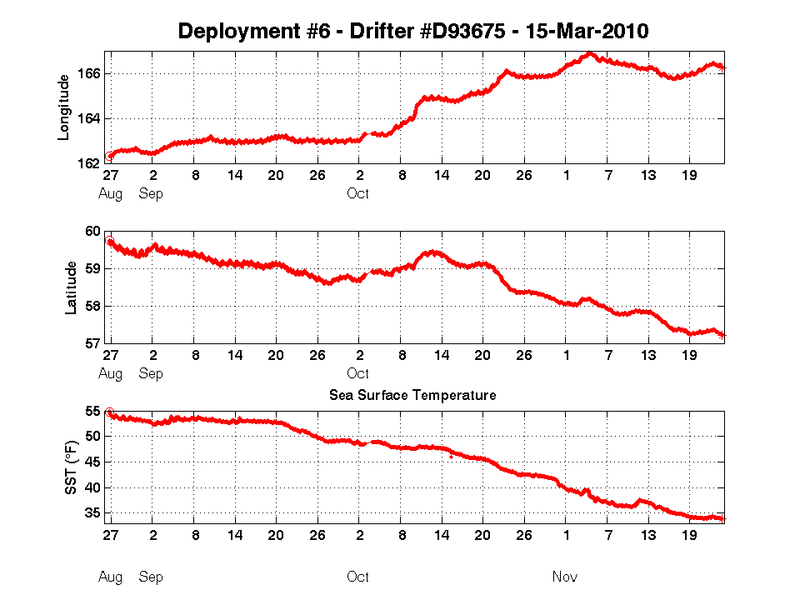 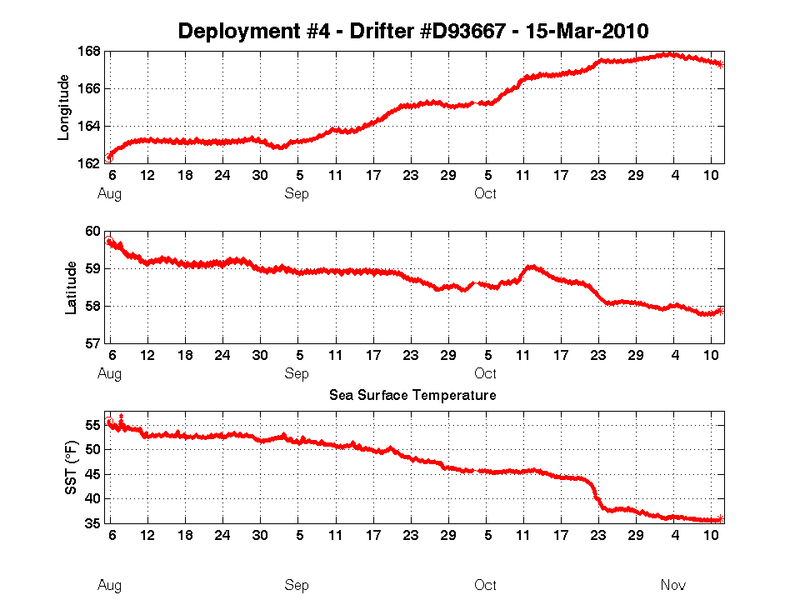 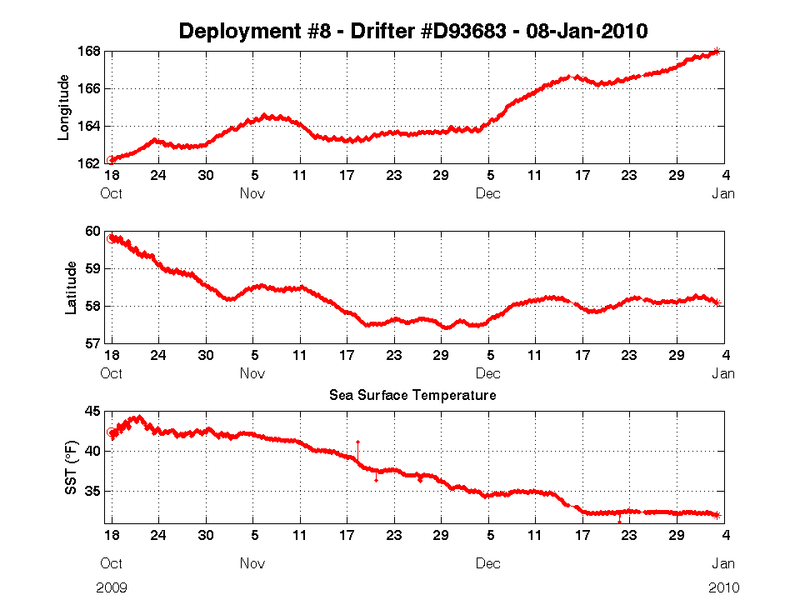 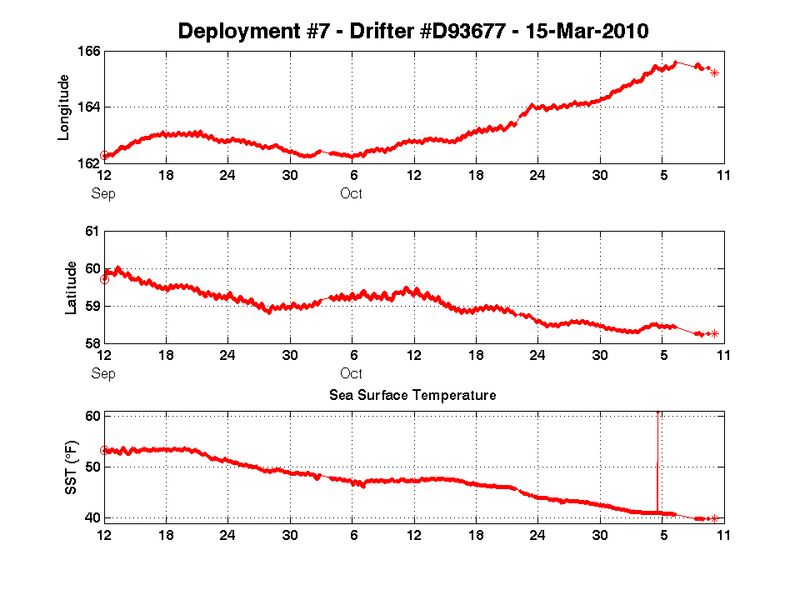 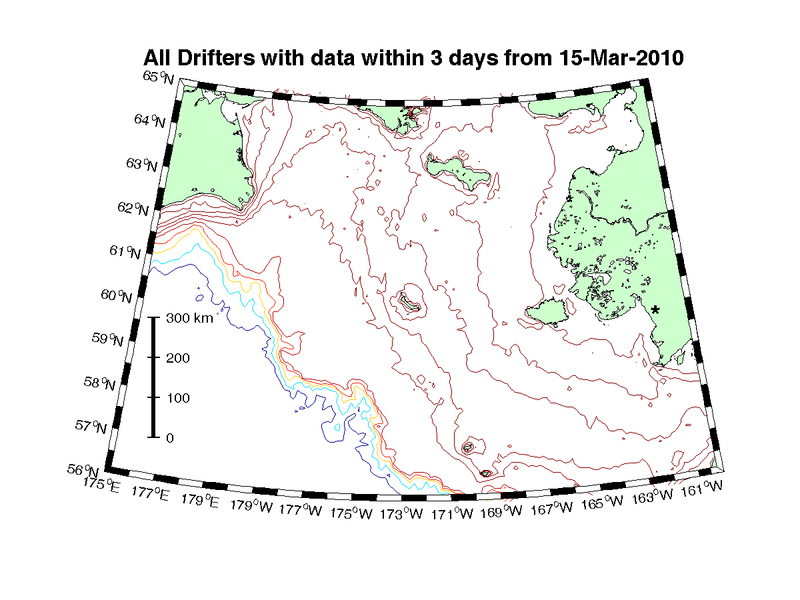 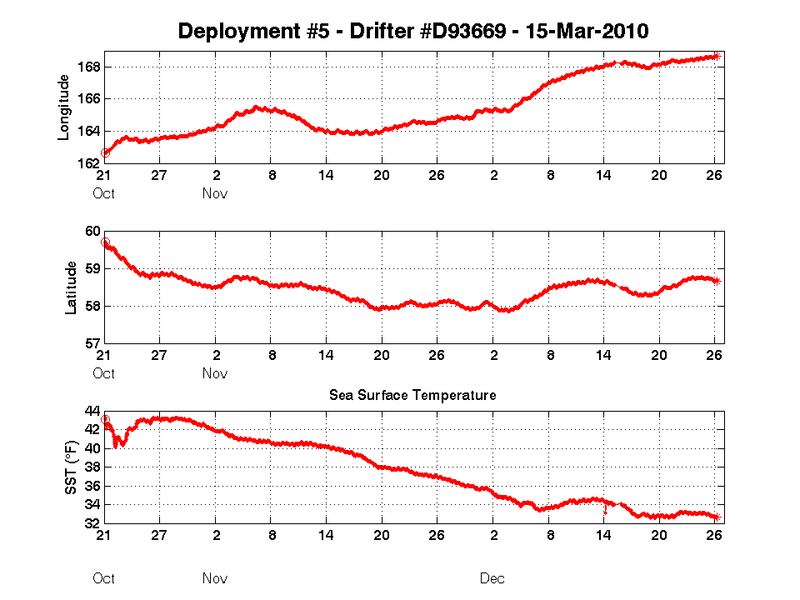 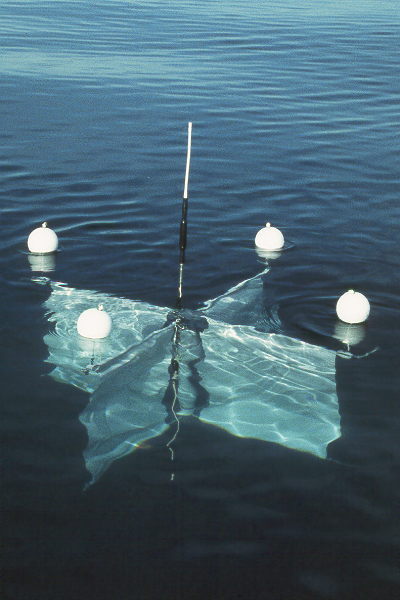 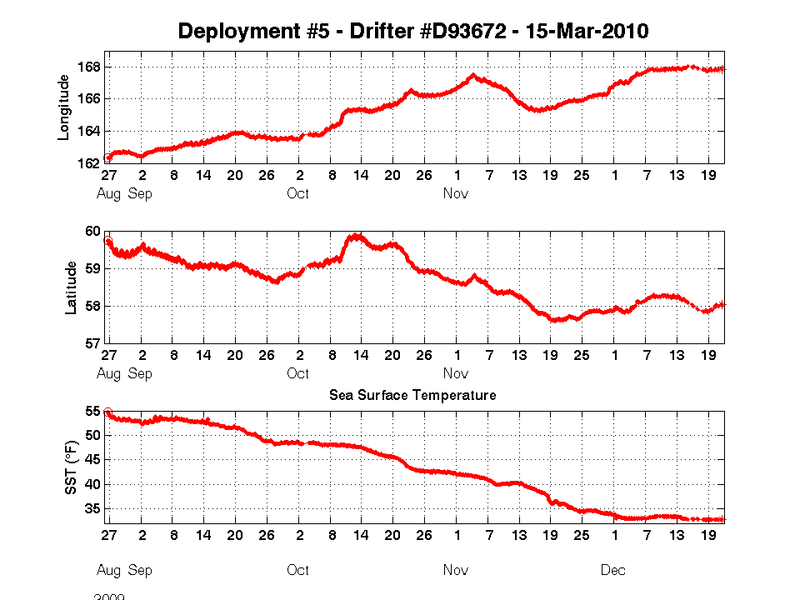 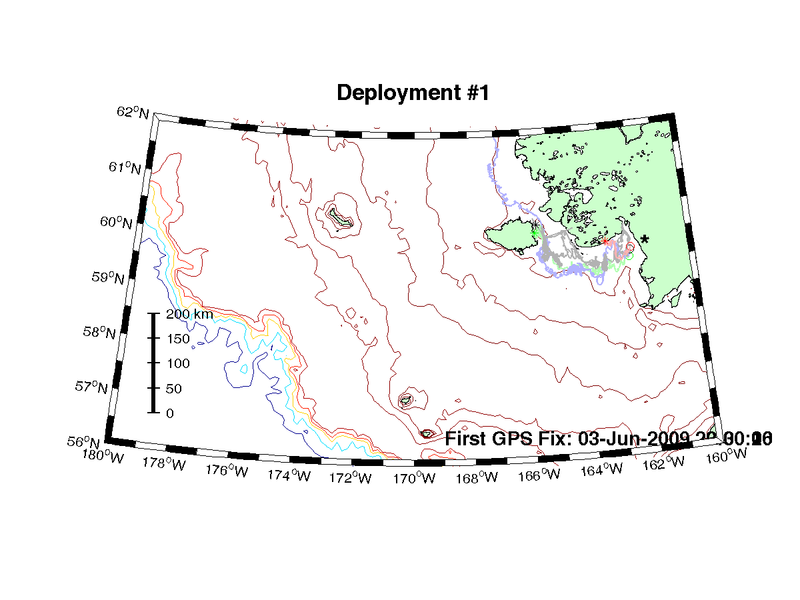 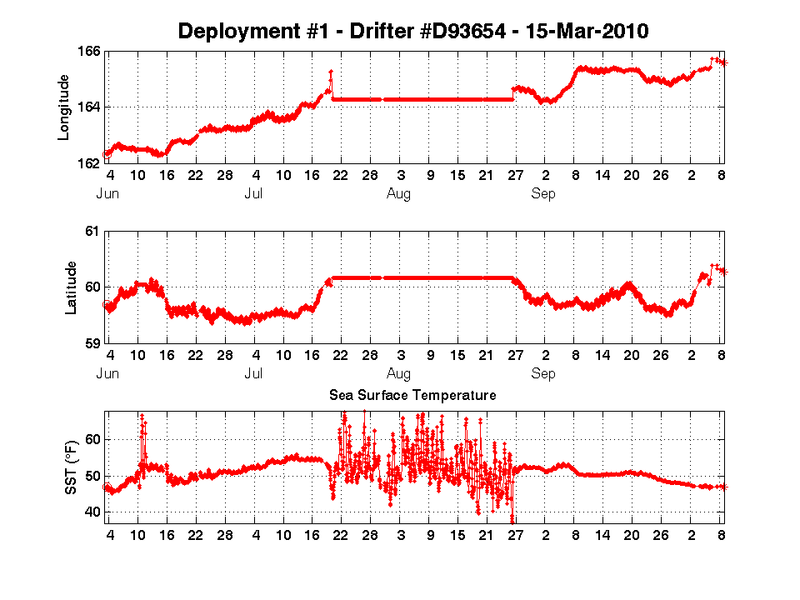 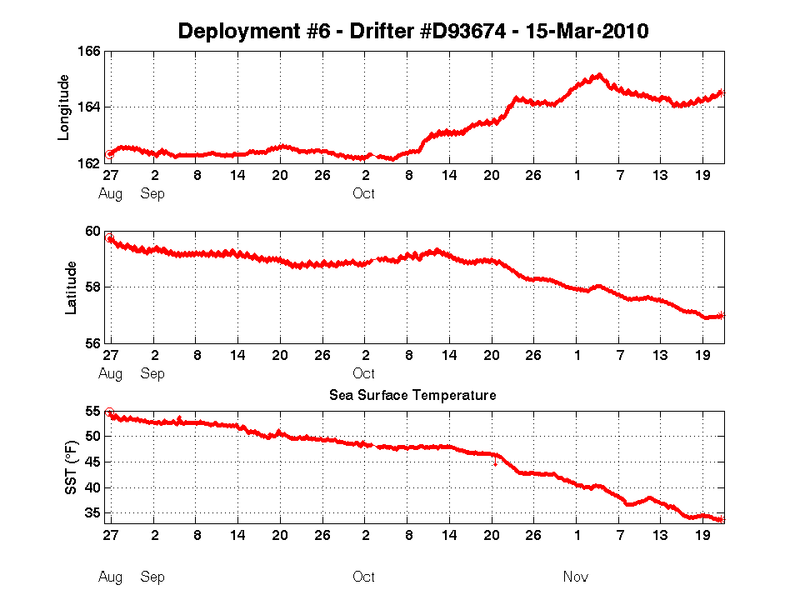 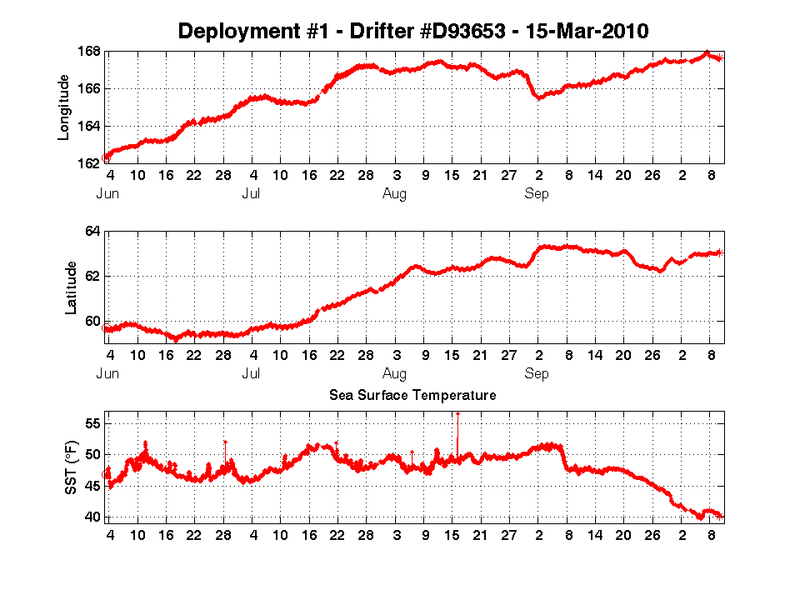 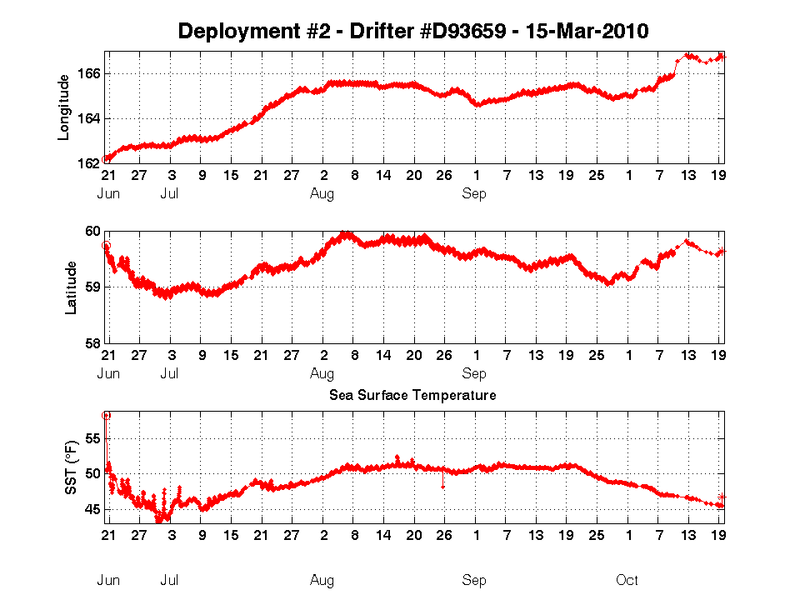 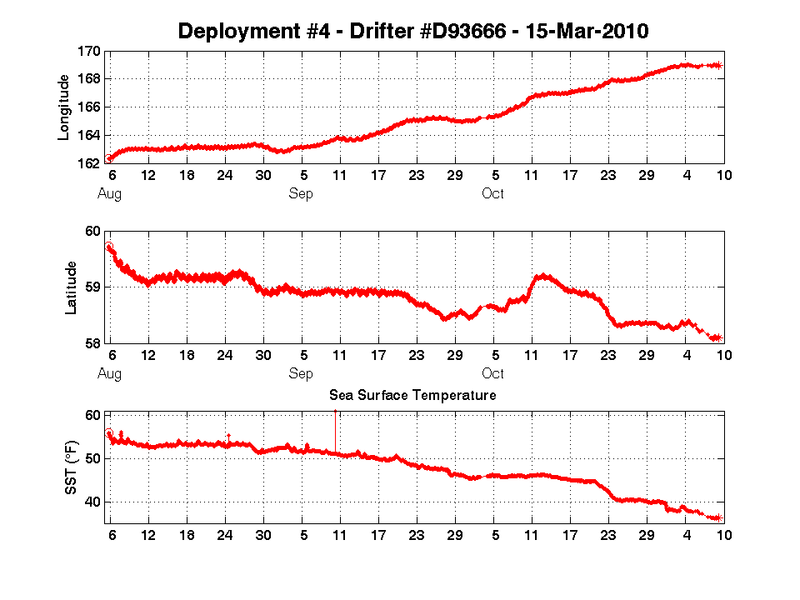 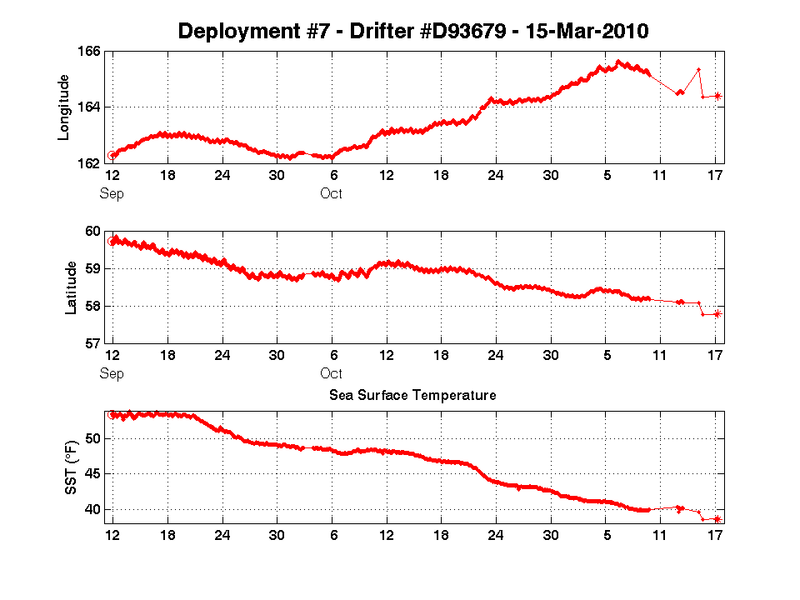 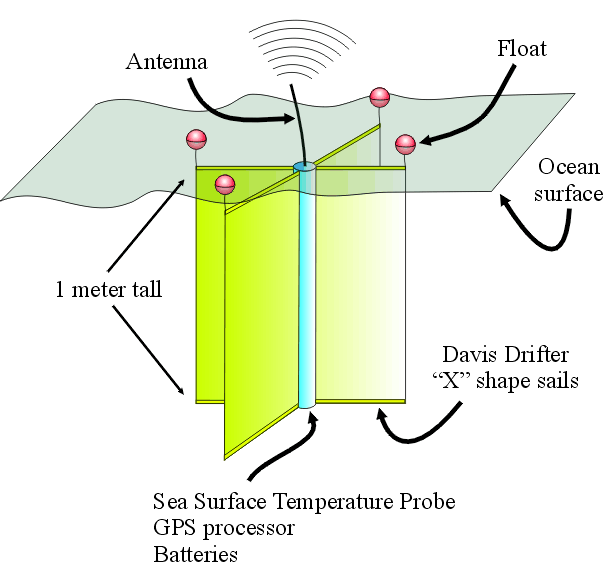 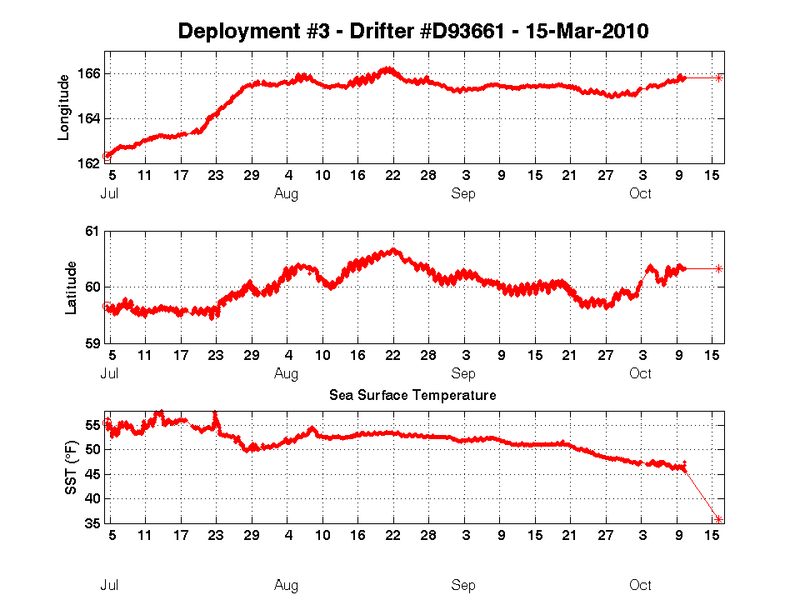 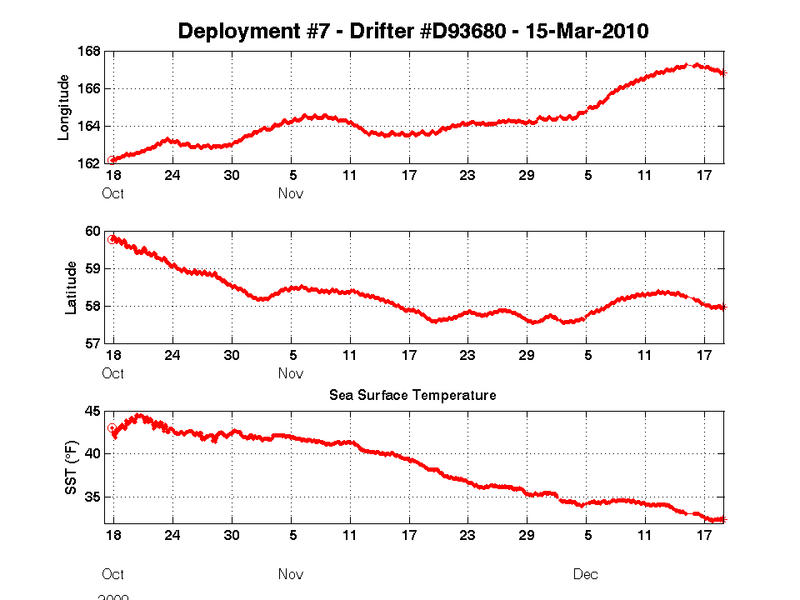 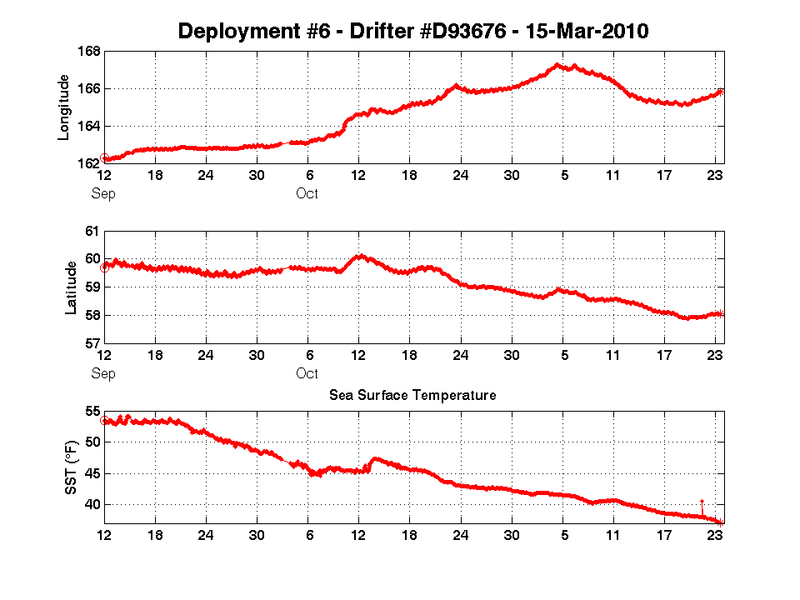 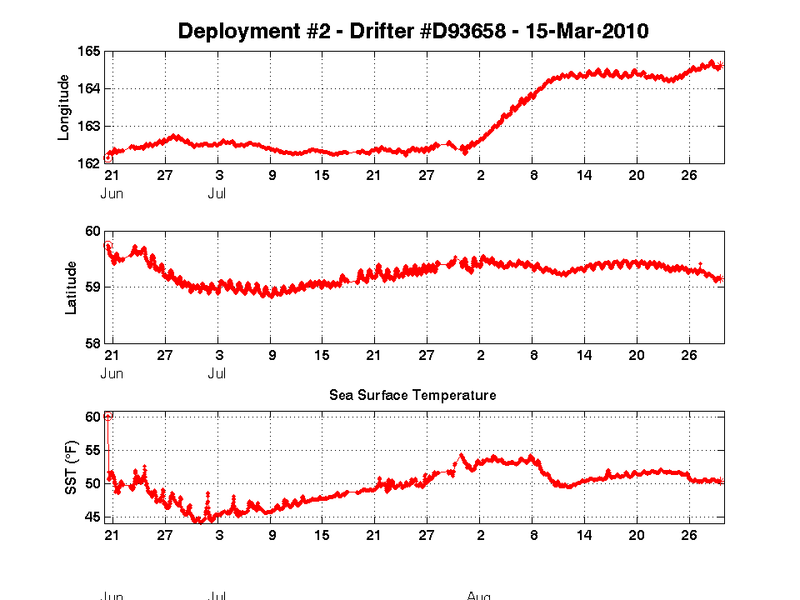 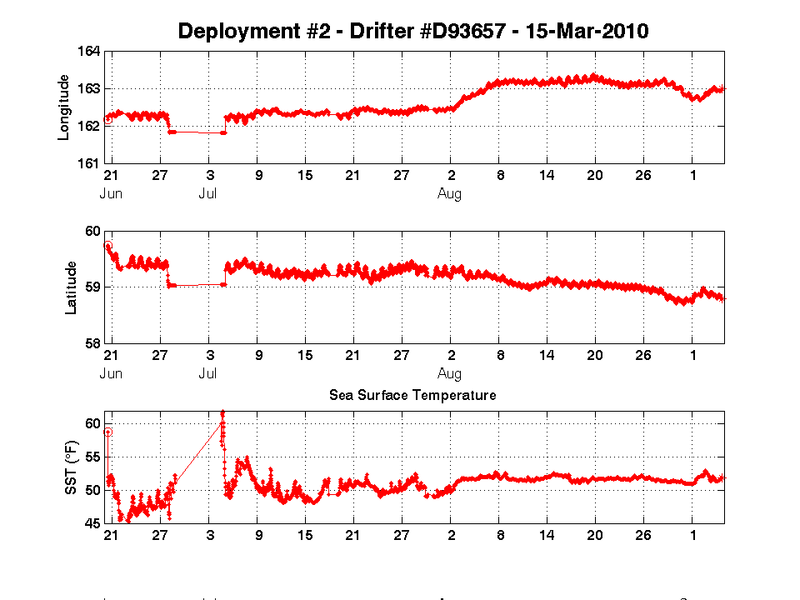 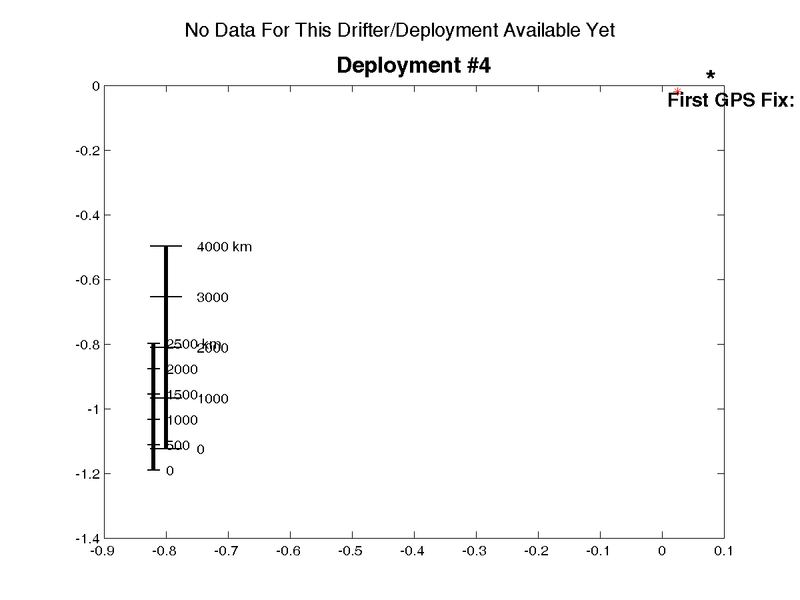 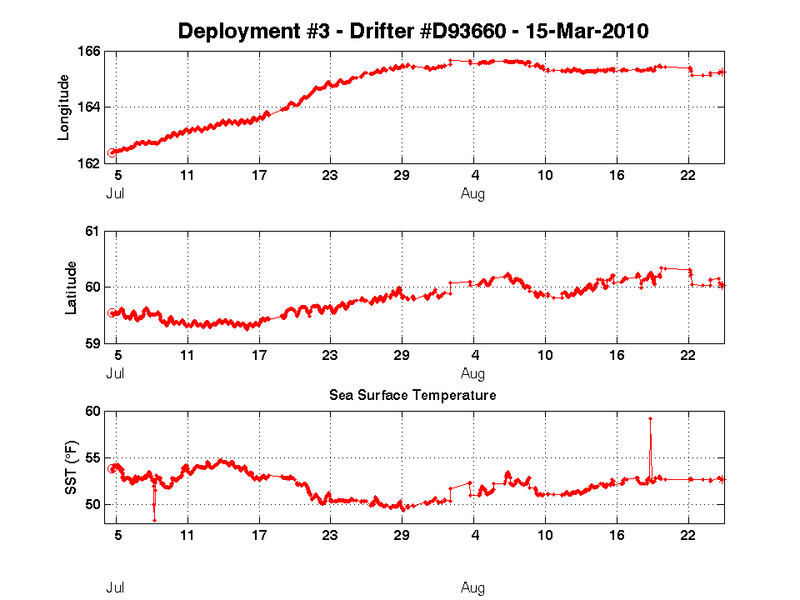 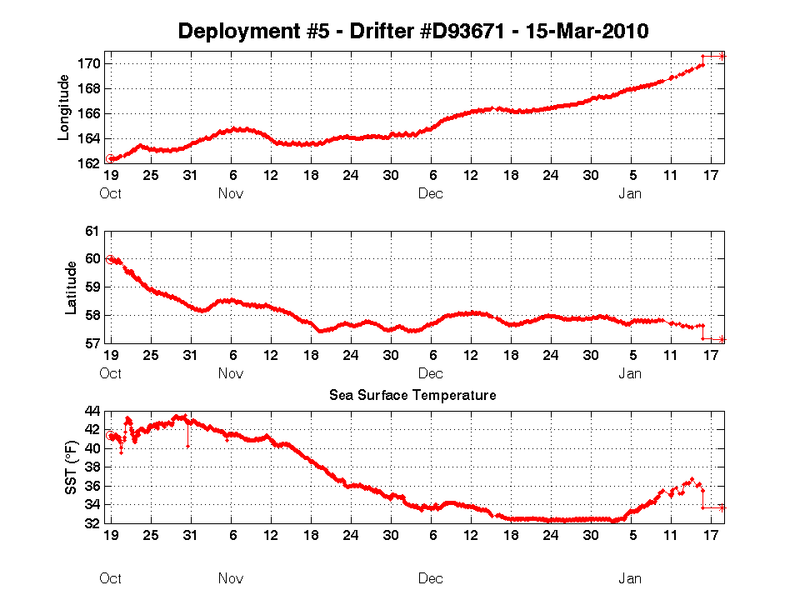 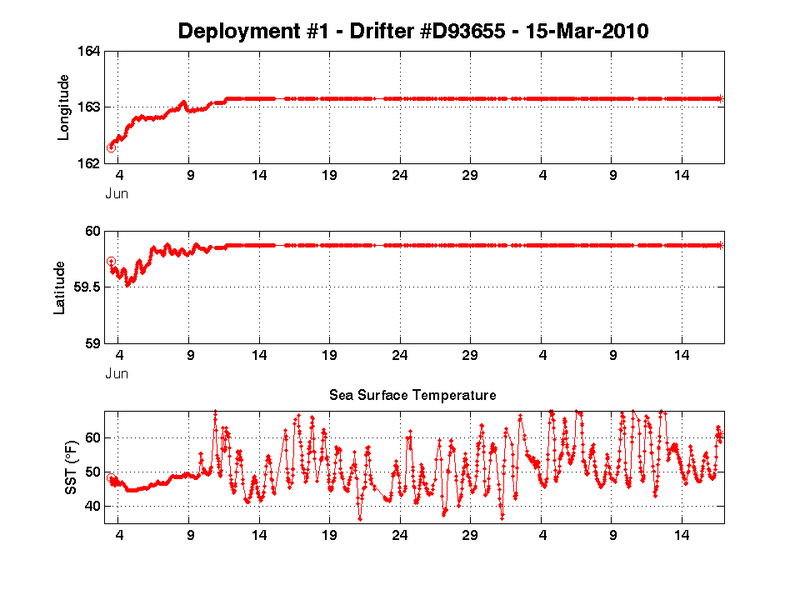 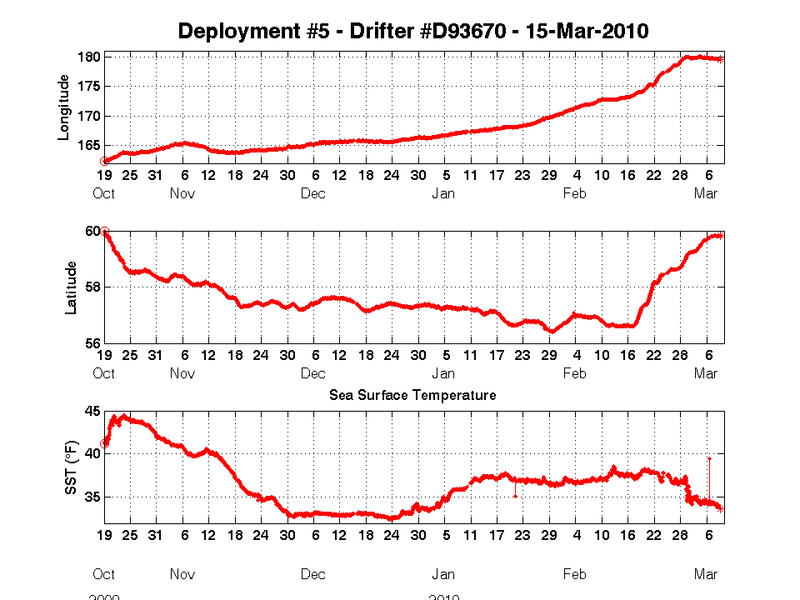 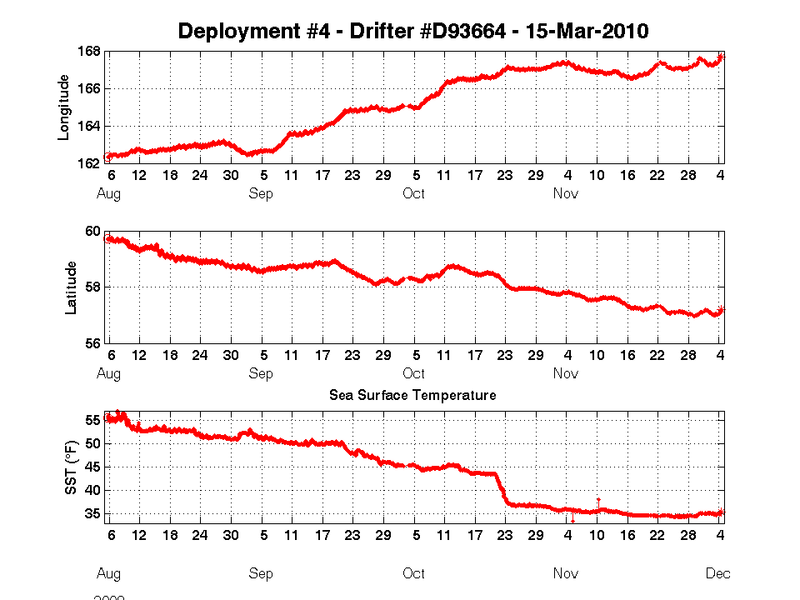 Deployments are in groups of 4 drifters deployed at 10 – 20 day intervals. These drifters are carried along by the motion of the near-surface waters, motion that is driven by tides, the wind and other forces. The drifters are being released by residents of Quinhagak, a village located on the eastern shore of Kuskokwim Bay. 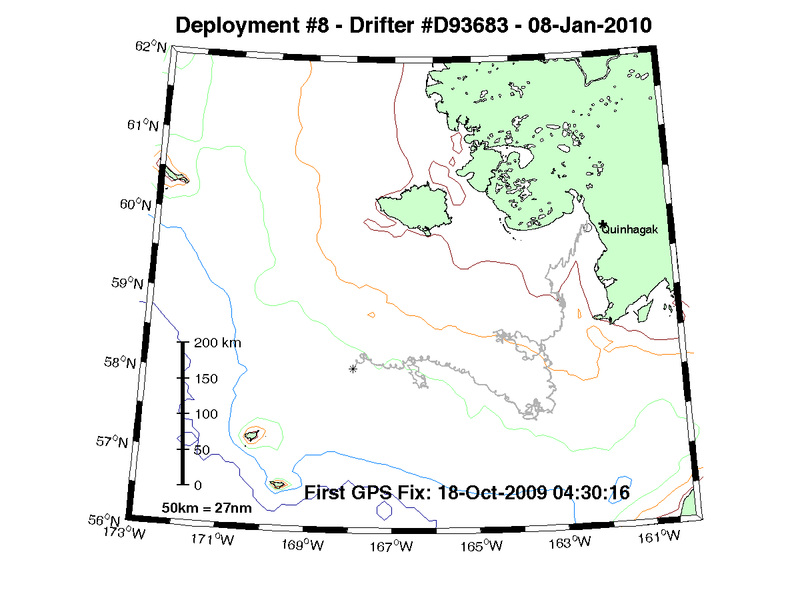 Our deployment photo galleries gives you a glimpse of the deployment sequence, the team out on the water and the drifters in the process of freeing themselves from within their cardboard cocoons. 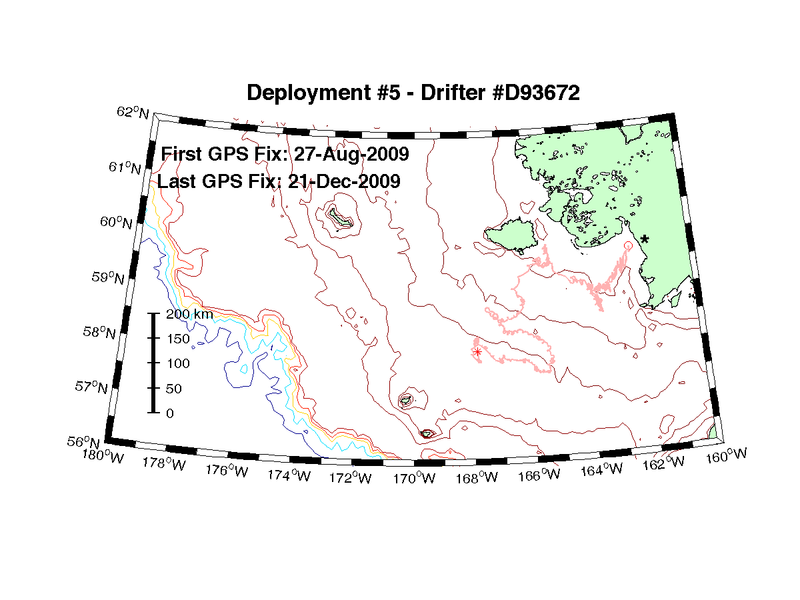 We have photographs from the 2008 field season: Deployment #2 and Deployment #6. MAP agent Terry Reeve gave an in-class demonstration of the drifters in September 2008. Each drifter attempts to acquire a GPS location fix every half hour. 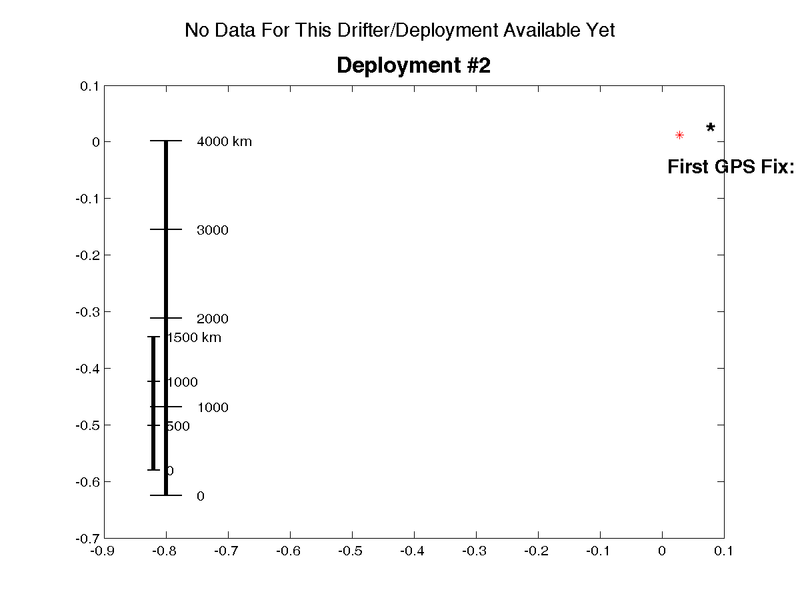 Drifter data is delivered to our processing center in Fairbanks once per day and the data figures shown below are updated daily at 6:30 AM Alaska time.  If you have questions about the drifters, please feel free to send us an email with this link or write to Tom Weingartner at email address: weingart@ims.uaf.edu.